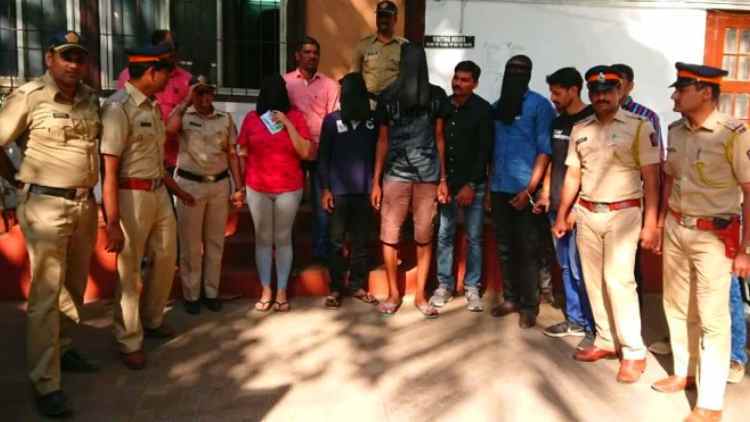 Four foreign people, including a Brazilian woman and three men, have been arrested by Mumbai Police on Sunday in connection with an international drug racket. Four foreign nationals were arrested on Sunday in possession of cocaine worth Rs 39 crore. The accused- three Nigerians and a woman from Brazil– used to smuggle drugs to South Africa from Mumbai. They hid the drugs in curtains and sent it through courier, the police said. The cocaine allegedly seized from their possession was supposed to be sent to Johannesburg in South Africa. The accused were held when they were heading for the office of a courier company to dispatch the consignment. The official said the accused concealed narcotic drugs in rings and pipes of curtains. These drug-loaded consignments of curtains would be then sent abroad through courier companies. The police were probing whether courier company officials were aware of this racket. The courier company is being interrogated by the police. All the accused were produced in court today and sent to seven days police custody.